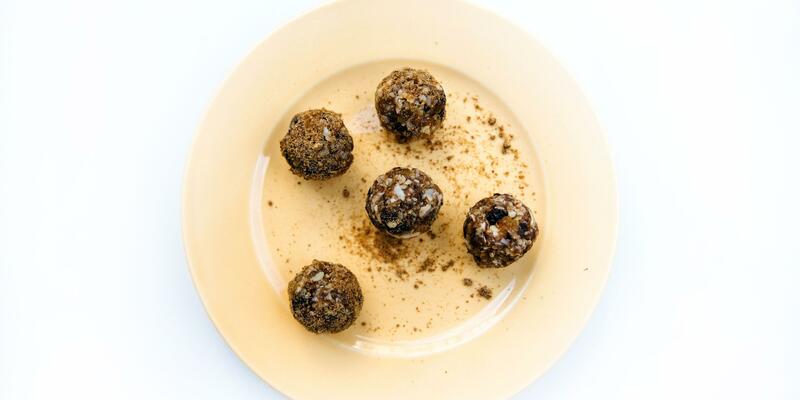 This oat and fruit snack is dusted with coconut and cocoa. 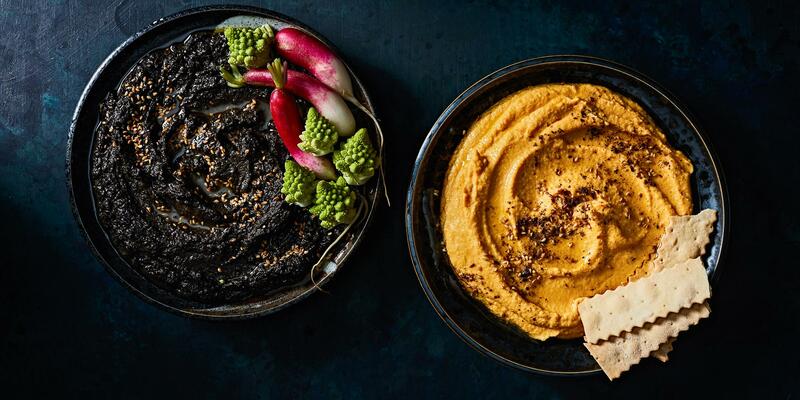 Not only will kids love these bites, they can also help make them, says Marissa Lippert, RD, a New York City-based nutritionist and owner of Nourish Baby, a food-delivery service for parents and newborns. 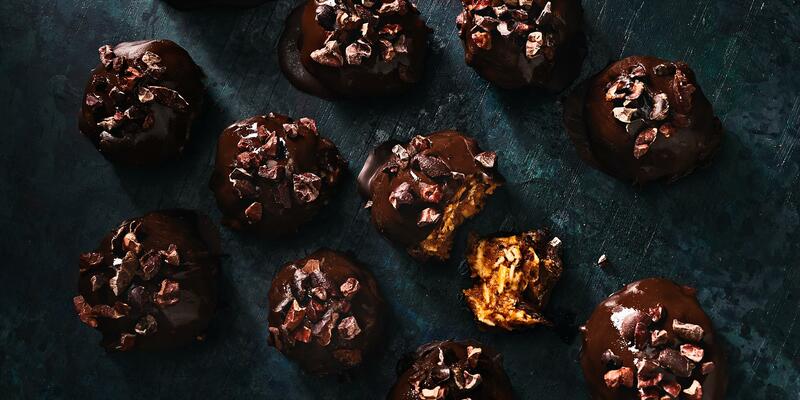 Made with cocoa powder, these energy truffles are the perfect antidote for a chocolate craving. Chia and hemp seeds are full of fiber and healthy fats, while dates, apricots, and cherries add sweetness. Eat them instead of your typical energy bar when you need a mid-afternoon boost. In a food processor, pulse the dates until they become a paste. Set aside. Process the oats until ground. Add chia seeds, hemp seeds, apricots, cherries, brown sugar, coconut oil, cocoa powder, salt, and date paste. Blend until smooth. Roll into 1-inch balls. In a shallow bowl, stir together the sugar and coconut. Roll the balls in the coconut mixture. 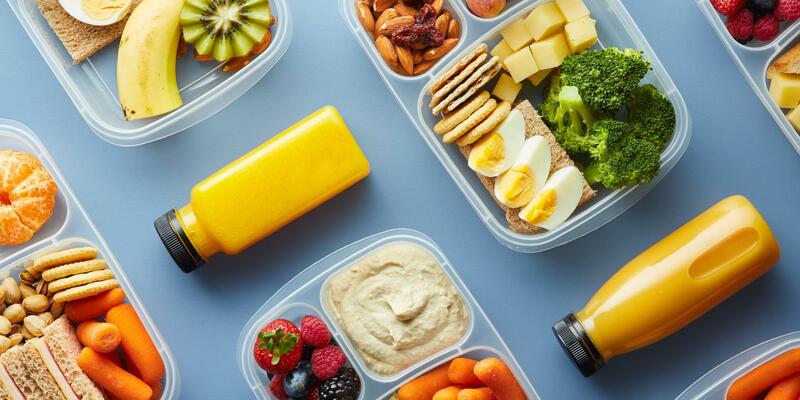 Store in an airtight container in the refrigerator for up to 1 month or in the freezer for up to 3 months.